Interested in working for a great, locally owned remodeling company with a stellar reputation in the Charleston, SC area? 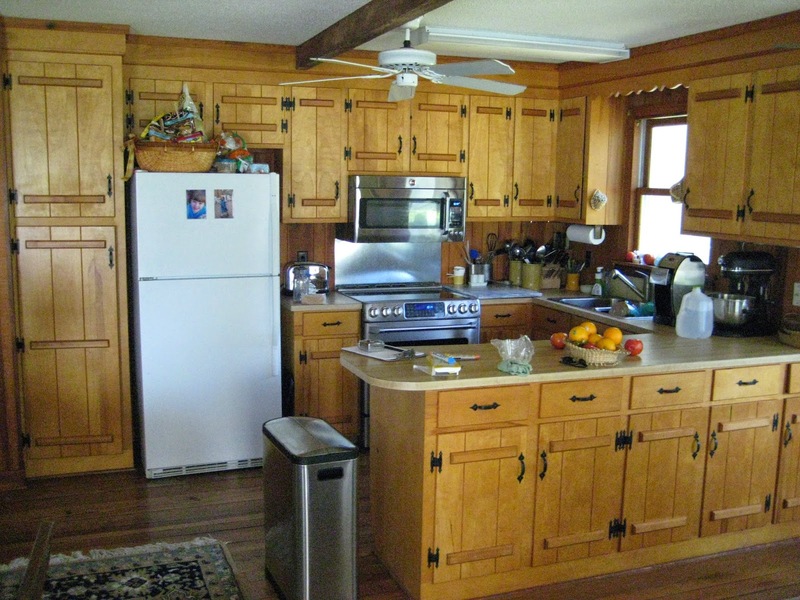 Classic Remodeling is looking for experienced professionals to fill the role of Project Craftsman/Lead Carpenter. We are a high-end residential remodeling company seeking full-time long-term employees to fill our Project Craftsman positions. We have been in business for 25 years and pride ourselves on exceeding our clients' expectations. Most of our employees have been with us a number of years. (Some have been with us over 15 years!) We have a team environment and (despite our professionalism) we like to have fun! 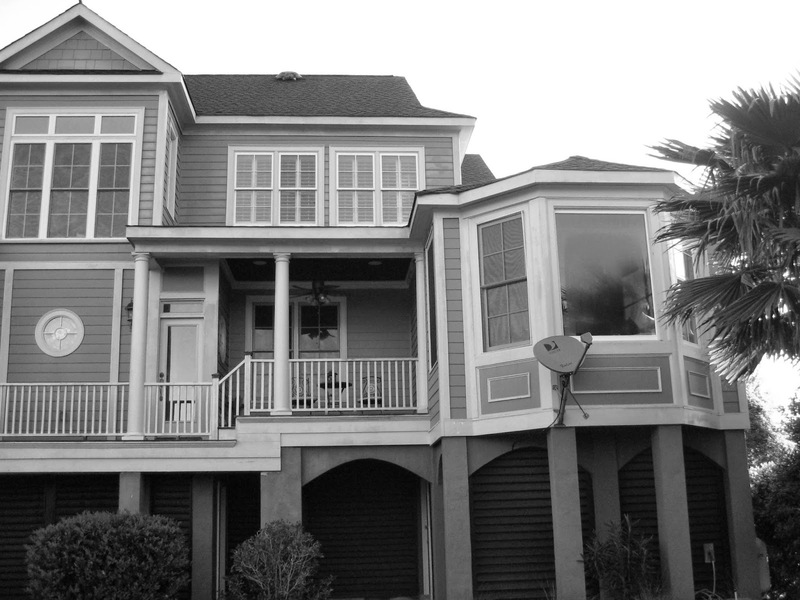 We do additions, decks / porches, kitchens, bathrooms, whole house remodels and repairs throughout the Charleston area. Our Project Craftsmen are expected to have and use their own tools. However, we offer an excellent tool program which provides the funds to help purchase and maintain tools. Charleston has been racking up the accolades again this year – #4 on the list of Best American Cities for Foodies (Conde Nast Traveler), #4 Most Romantic Getaway in the World (Fodor’s), Friendliest City in America (Conde Nast), Top City in the US and #2 city in the world (Travel + Leisure), and named one of the Best Places to Retire (Forbes).We’re certainly proud to be part of a city that receives so much positive recognition world-wide. 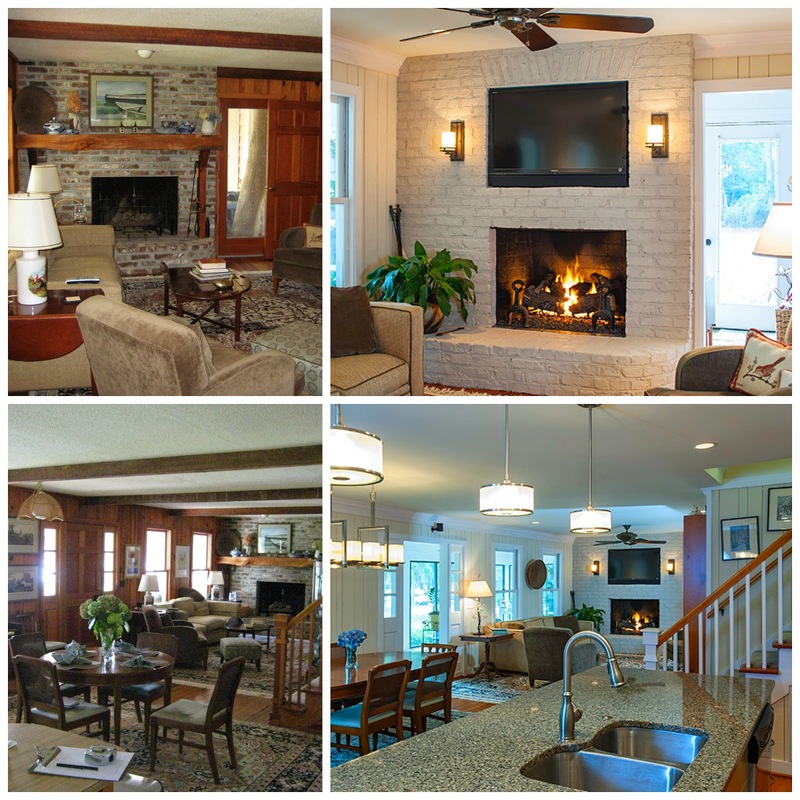 Over the last month, Classic Remodeling has also been on the receiving end of some great recognition. The July/August issue of Charleston Living Magazine features the winners of their first annual “Best of Charleston” awards. 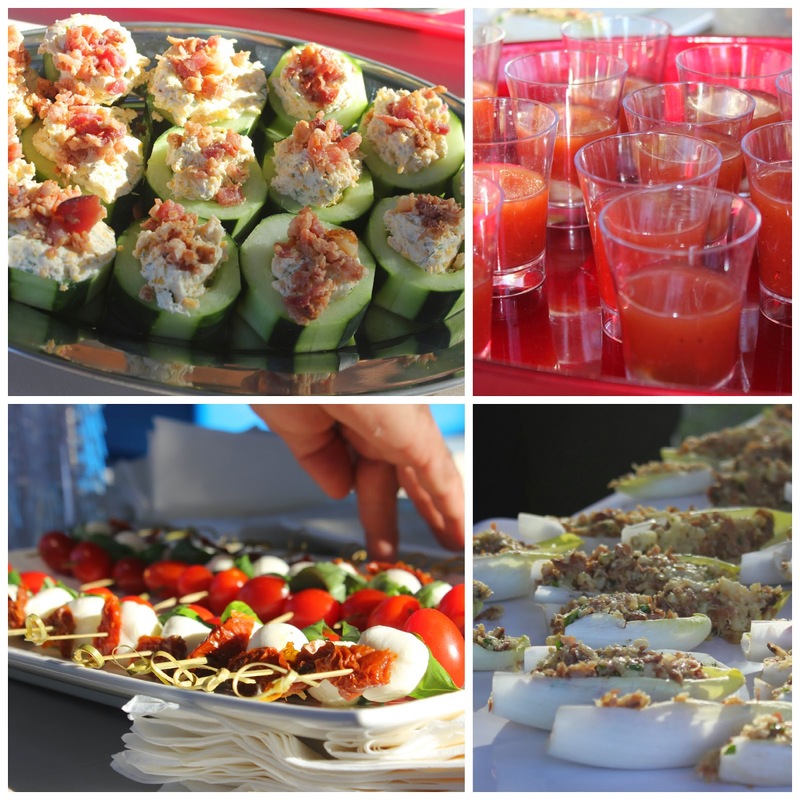 Readers were invited to nominate their local favorites in a wide range of categories. 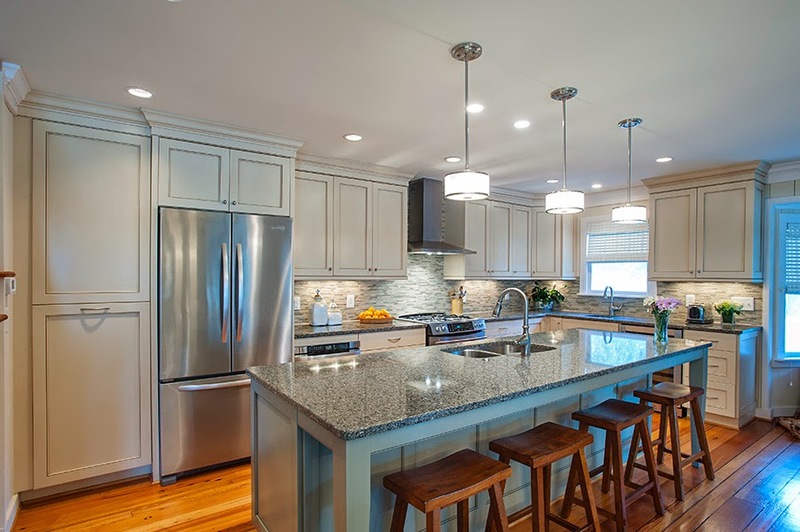 We were thrilled to be named “Best Kitchen and Bath Remodeler” for 2014! In the same issue, Classic Remodeling was prominently featured in an article by Erica England of GuildQuality, titled “Guildmaster Builder Awards.” Classic is one of only 6 contractors nationwide to receive GuildQuality’s Guildmaster award every year since the award was launched. The Guildmaster award recognizes residential construction companies who would be recommended by over 90% of their customers. And, finally, the Charleston Regional Business Journal highlighted our company’s 25 years in business in the Milestone section of the July 14th issue. We’re so proud of our accomplishments over these last 25 years and pleased to have worked with so many great clients throughout the Lowcountry. Here’s to the next 25! 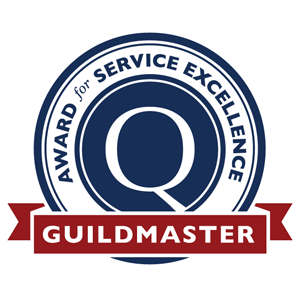 We are pleased to announce that Classic Remodeling has received the 2014 Guildmaster Award for exceptional customer service from GuildQuality, an independent customer satisfaction surveying company. 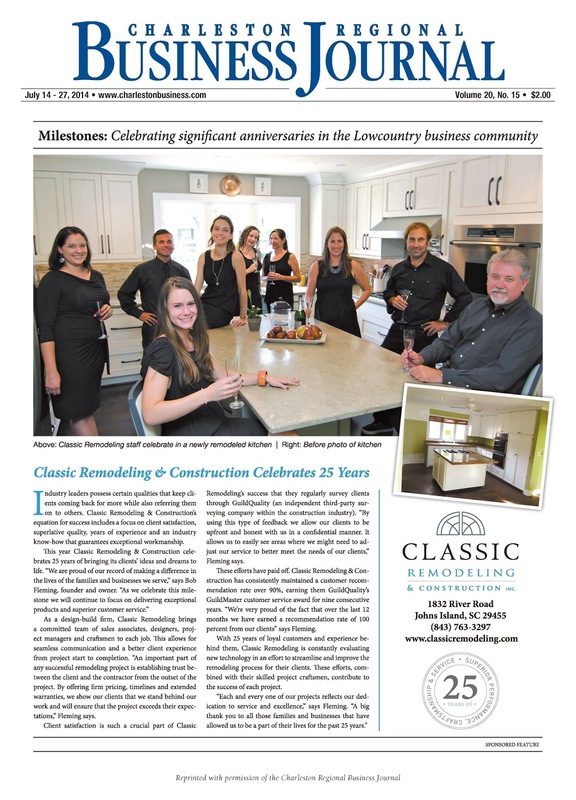 This marks the ninth consecutive year Classic Remodeling has been honored with this award. The Guildmaster award was created in 2005 to celebrate service excellence in the building, remodeling, contracting, and home services professions. This year, GuildQuality honored over 200 North American builders, remodelers, developers, and contractors for their superior delivery of customer care. 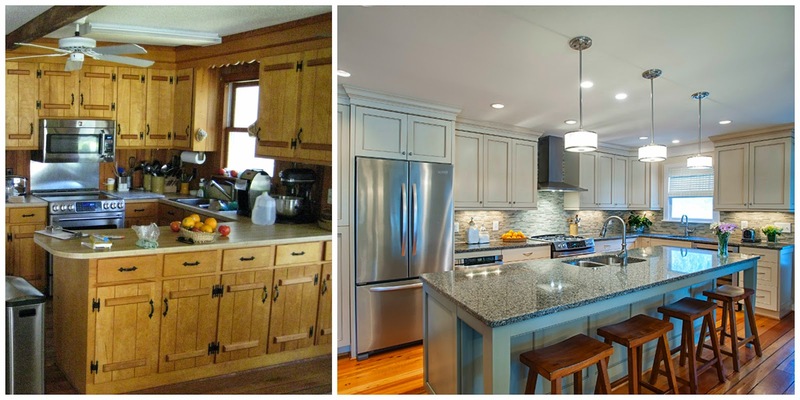 Classic Remodeling is one of only 6 companies nationwide that has received the award each year since its inception. GuildQuality reviews customer survey responses submitted over the course of the last year to evaluate Guildmaster candidates. To receive the award, candidates must meet established criteria for two key metrics: the percentage of customers who would recommend and the percentage of customers who responded. Classic Remodeling achieved a recommendation rate of greater than 90% from their customers (the industry average is approximately 70%). We are thrilled to, once again, be recognized for the service we provide our clients. We take great pride in the fact that, over the course of our history with GuildQuality, we have maintained a 97% customer satisfaction rating. Our clients’ willingness to participate in the survey process allows us to constantly evaluate and improve the client experience, which is vital to the success of our business. We are pleased to welcome Krista Scheider to the Classic Remodeling team as our newest Project Consultant. Krista brings a wealth of experience in the remodeling field and will focus mainly on Classic’s kitchen and bath projects. 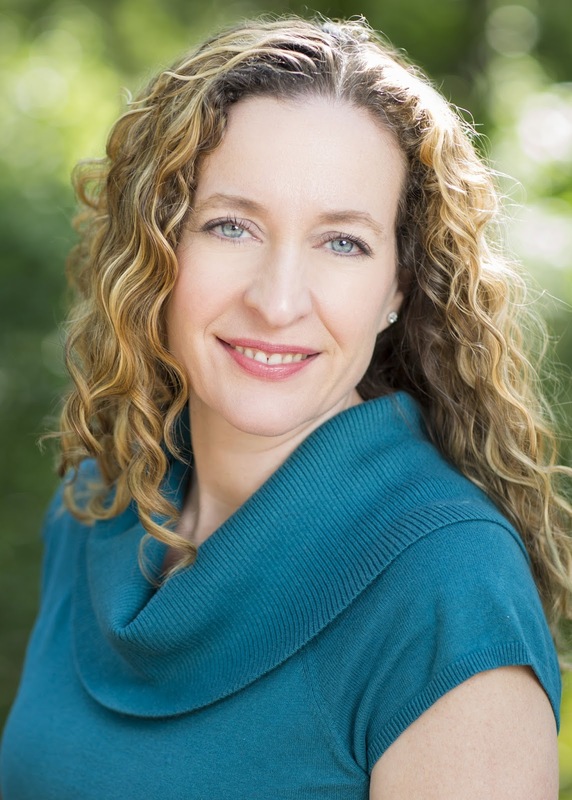 Talk with Krista about her work and it’s easy to see how passionate she is about helping her client’s achieve the best possible results from their renovations. Krista has been “in the business” for most of her life. She grew up working in her father’s cabinet shop on Hilton Head Island, SC where she began cleaning the showroom and helping with inventory at the age of 10. In 2000, after graduating from college and spending some time in Europe, she officially joined the family business as a designer. After 2 ½ years in Hilton Head, she moved to New York City where she spent 7 years, working first as a designer for a Kitchen and Bath Showroom on the Upper Westside, and then joining Beech Associates, a prestigious design-build firm on the Upper Eastside. Now back in the Lowcountry, Krista says she’s excited to put all of her experience to work for Classic’s clients. 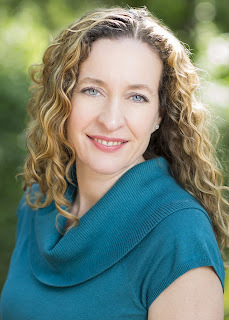 We are thrilled to have Krista as part of the Classic team. Her high standards and focus on the client experience, in addition to her design abilities will undoubtedly bring value to Classic’s clients and help us continue to deliver exceptional quality and customer satisfaction. 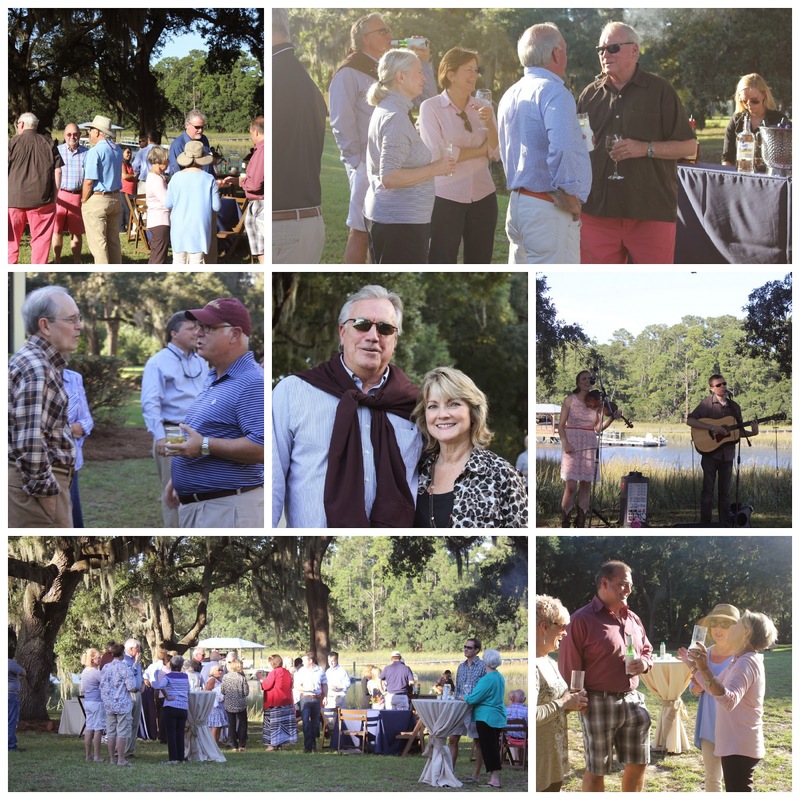 Spring has finally sprung here in the Lowcountry, and just in time for another “end of renovation” party. Bjorn and Lindsay Miller own a beautiful home in Mt. Pleasant. They came to us with a desire to increase the size of their very small living room and create a larger, more family-friendly media room. The home also had a small porch and deck adjacent to the living room, but no way to access the backyard. So Classic went to work on a new addition and deck to help accommodate the Miller’s growing family and new needs for their home. We expanded the space for the new media room by eliminating the existing porch and opening up the entryway from the old living room to the kitchen. 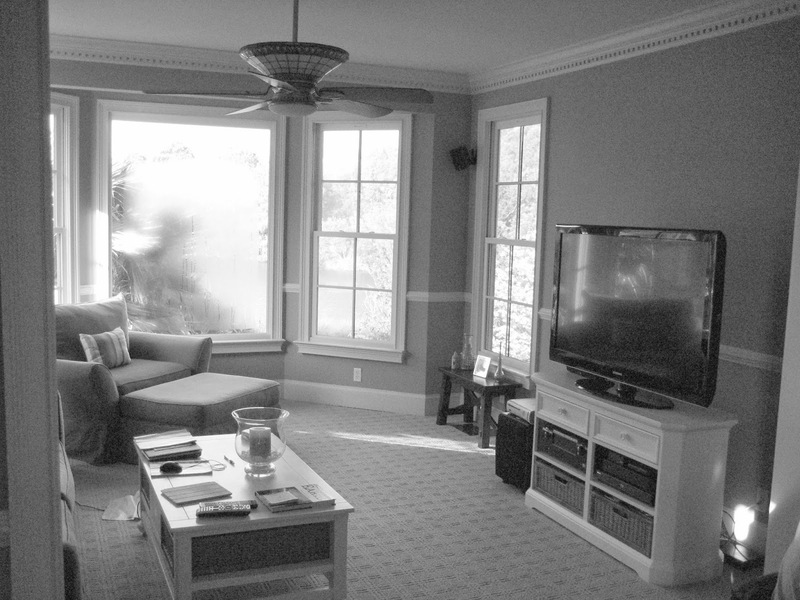 The room now has an open, airy feeling and delivers those beautiful water views the Miller's were looking for. The old deck, was also eliminated and a new deck was built that not only provides a great spot for entertaining but also now offers a way to get to the backyard. By bumping out the exterior walls to create the expanded media room on the first floor, we also created a new patio area on the ground floor. 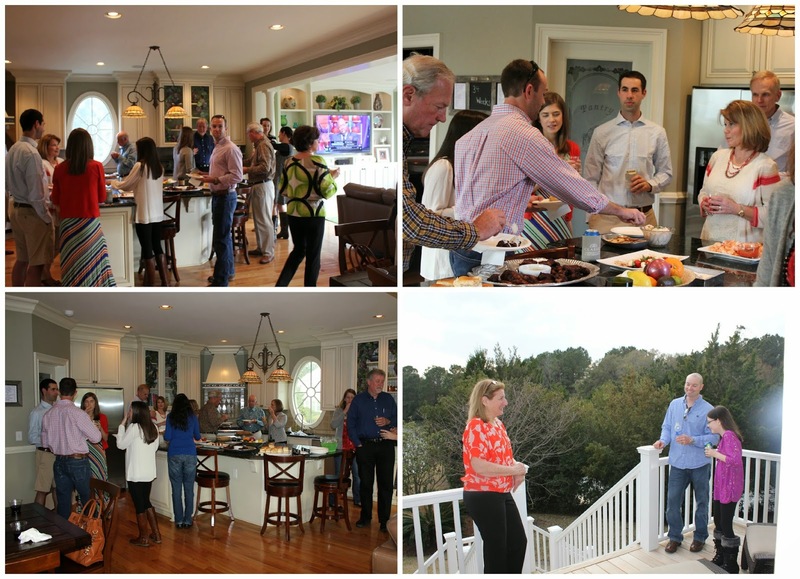 Once all was said and done, our team came back to help them celebrate the completion of the project, and share the results of their renovation with friends and family (some from as far away as Pennsylvania).